IndieCade kicked off this year’s festival for the first time on USC School of Cinematic Arts and Intel jumped at the chance to join in with the Gaming for Everyone Pavilion. The Gaming for Everyone Pavilion hosted 16 indie developers and organizations to showcase their work on a topics spanning from Social Justice, mental health and LBGTQ. To introduce our participating developers on day one a GameSlams was hosted with an open mic forum where each dev pitched their game to the crowd of 150 people. We then opened the floor and gave the mic to those who wished to get up and share their current game project or an idea they have for a game. It turned out to be an hour filled with applause and laughter and allowed for attendees to hang out in the lounging area where they connected and shared their thoughts on inclusion and diversity in gaming. As our Developers showcased their work over the three day event inside the Pavilion, outside at our welcome booth we held other Team Up Collaboration where people could form long –term collaborative teams within a short period of time with the goal of help create balanced teams for a gaming project. 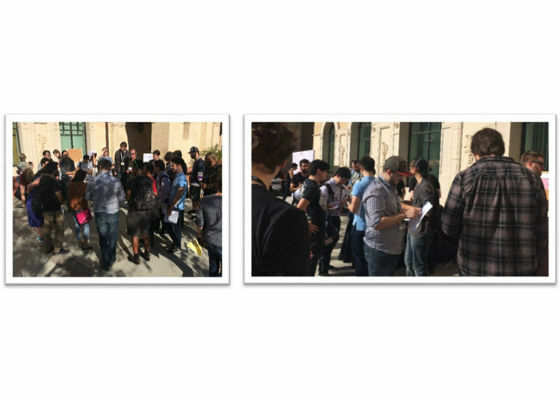 Additionally, we had the pleasure of hosting 300 local students from STEM and game design programs attend from our Gaming for Everyone field trips with scholarships. 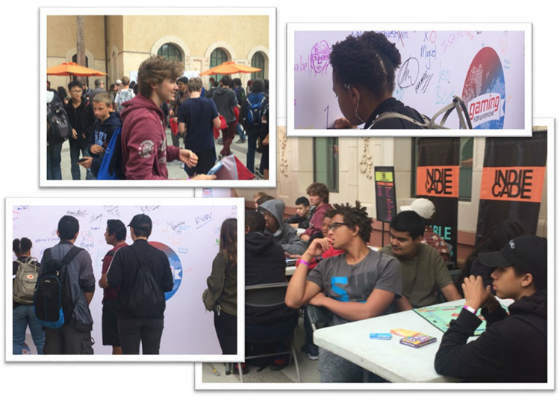 Each student learned about what the Gaming for Everyone pavilion by Intel was, visited the developers and try out the games, and were invited to draw on our community mural and received a drawstring backpack and a pin. To closing out the final day of the festival, IndieCade held a Red Carpet Awards to celebrate the best games displayed. It was a closing highlight for us for one of the developers hosted won big. Out of all the 109 games eligible for the developer’s choice award, We are Chicago by Culture Shock Games won the Developers Choice Award! This was such an engaging and community building event, were insightful talk were had and friendships were forged. If you should ever be in the area for future events, it is highly recommended to check it out with the whole family! 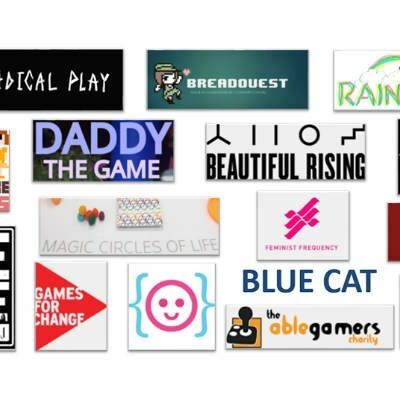 Intel would like to send a big thank you to the developers who participated and took the time to share their games with us and especially the IndieCade staff and volunteers for all their hard work. It truly would not have been the wonderful event it was. Why almost everyone uses facebook ? How to download a game? Intel atom vs qualcomm snapdragon?